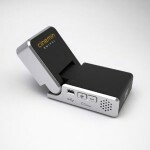 As portable devices slowly take over our lives with smartphones, tablets, compact video cams and laptops, the demand for the small-sized projectors to go along with these devices has become overwhelming. The problem is, there’s so much choice and that’s where we come in with reviews of all the best mini projectors and guides to help you use them. 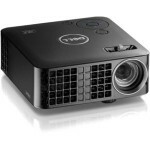 We have 100’s of unbiased mini projector reviews, side-by-side comparisons and loads of great articles to help you find exactly what you’re looking for. The first step to choosing your device is to decide on the ‘must have’ features you need. 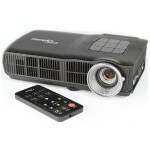 This site contains information for all the major mini projectors on the market. 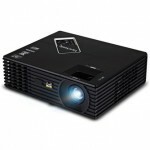 Our interactive comparison table will help you decide what projectors fit your desired features. The most important features are shown in the below table (and also in the full comparison table). 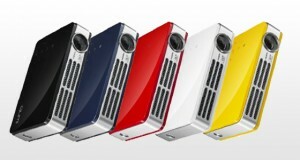 Compare Every Projector We’ve Reviewed! DLP, short for Digital Light Processing, created and commercialised by Texas Instruments and is used in rear projection TVs and modern colour digital projectors. 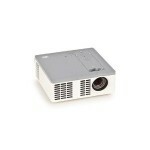 Most projector manufacturers on the market today utilize DLP lighting technology. It works by creating the image with microscopically small mirrors laid out in a matrix format on a semiconductor chip called the Digital Micromirror Device (DMD). DLP has been around since the late 1980’s, however, it’s only recently with the replacement of the mechanical spinning colour wheel and light lamp combination that DLP used to rely upon with newer coloured LEDs and Lasers that has made this technology much smaller platforms and affordable. DLP offers the smooth, jitter-free images with excellent grayscale linearity. There is also no need to replace light bulbs when this technology is used in projectors, unlike older technology. DLP as a technology is quite economical. Read Our Article: What is DLP and how does it work? Beam-steering refers to a technology that steers laser beams for projecting the most accurate, images developed by a company called Microvision. Microvision’s scanning mirror technology, Micro-Electro-Mechanical System (MEMS), is a tiny little silicon device that features a small mirror at it centre that oscillates vertically and horizontally really fast to redirect (or “beam steer”) a laser beam to capture and reproduce an image pixel-by-pixel. MEMS technology is the driving force behind the PicoP display engine which is used in some projectors and it’s small enough to embed inside a mobile phone. 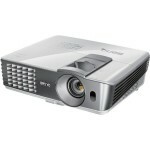 Projectors using this MEMS technology are referred to as Pico projectors. Read Our Article: What is laser projector beam-steering? LCoS is short for Liquid Crystal on Silicon. It’s quite similar to DLP in a number of ways, but instead of tiny mirrors embedded on a semiconductor, it actually uses liquid crystals. LCoS is also similar in this way to standard LCD technology with the exception of being able to produce much higher resolution and higher contrast images. LCoS is the most mature of these projection technologies, stemming from a project by General Electric in the late 1970s. While we’re referring to it here as a projection technology, it is also the responsible technology for the large-scale production of the large and inexpensive flat panel LED LCD displays that we all enjoy in our homes. 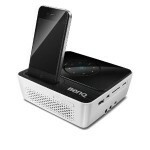 There are loads of great ways to use these little projectors and with today’s increasing dependence on mobile devices fulfilling all sorts of tasks for us, it’s a great accessory to buy. 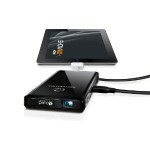 As the technology evolves, many business people are also using these units as professional projection units to carry with them on the road. It has transformed the way we think of presentations. We have been collecting info on these projectors for a few years and our team is dedicated to helping you find the best mini projectors on the market. 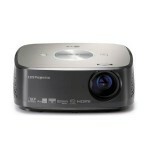 Our in-depth mini projector reviews to help you choose the best projector for your needs. In our reviews, we cover all sorts of things including connectivity features, size and weight, lighting, brightness, and loads more. 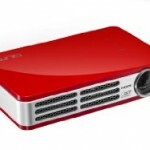 We also discuss what the best type of mini projector is for different groups and how the technology itself works so you can make an informed buying decision. Feel free to have a look around our site, read some reviews and get in touch if you have any questions that need answering.